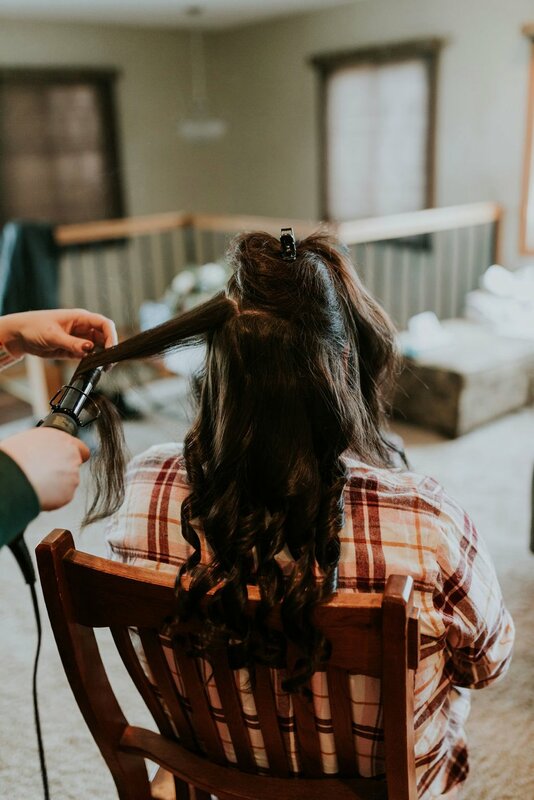 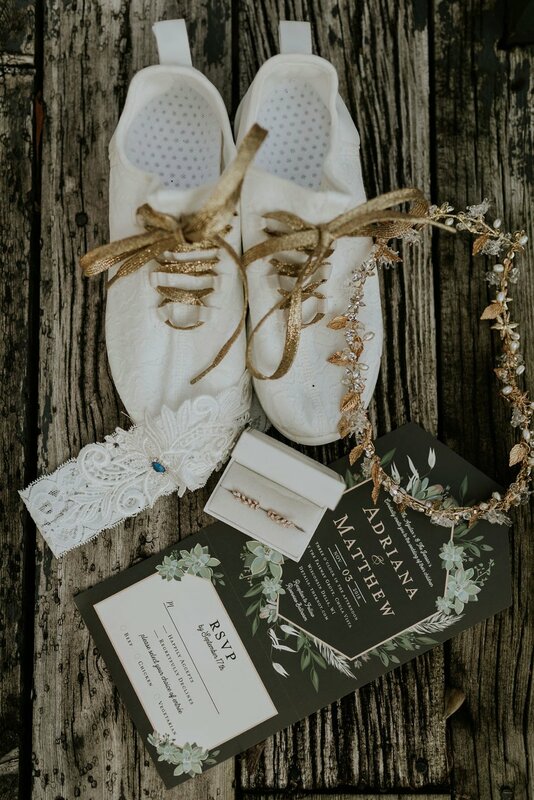 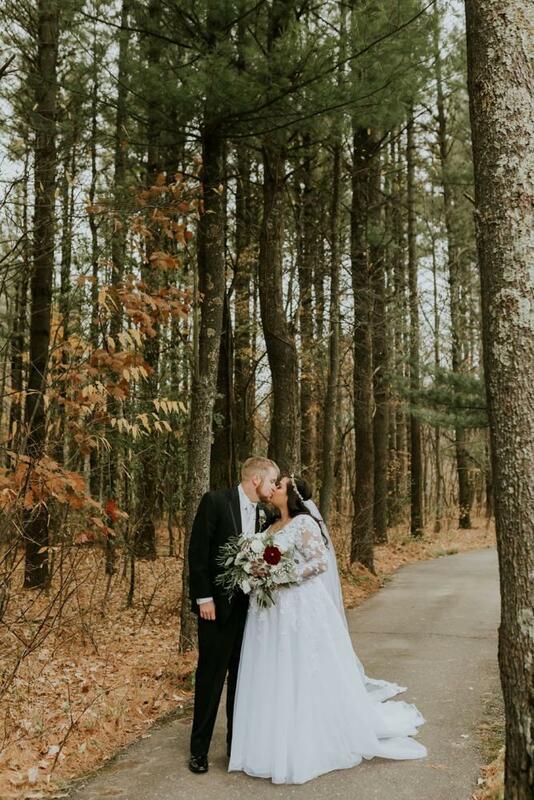 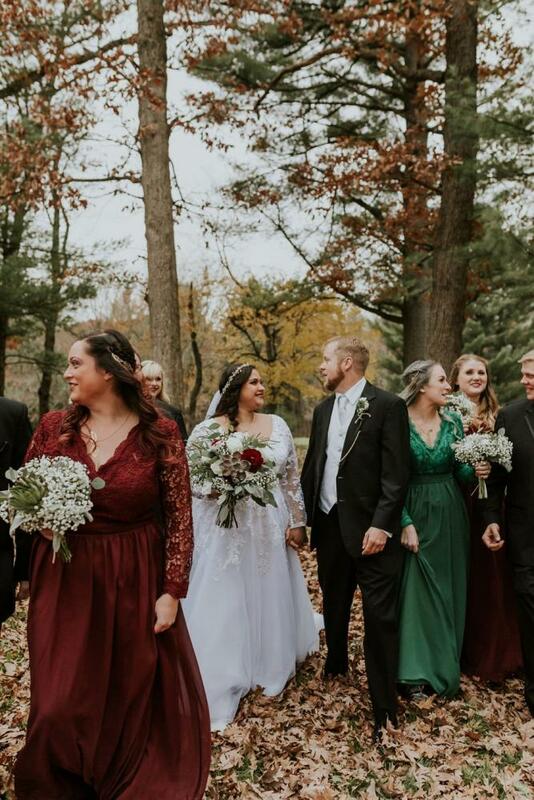 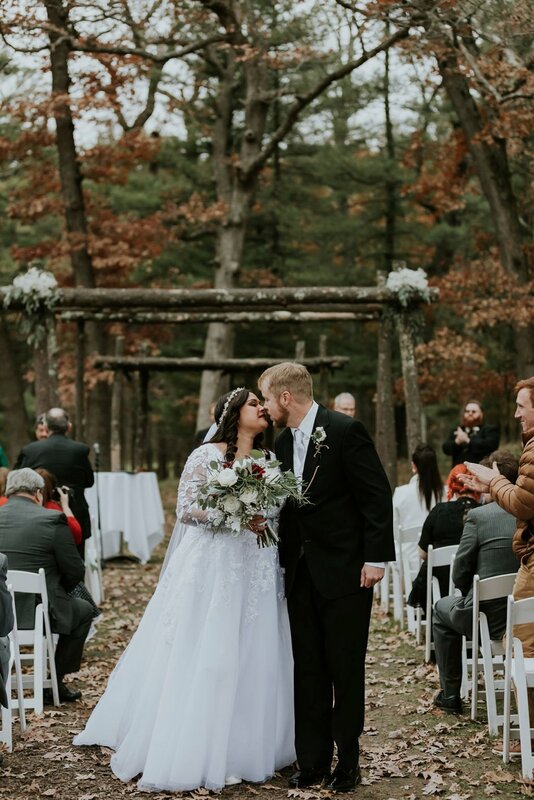 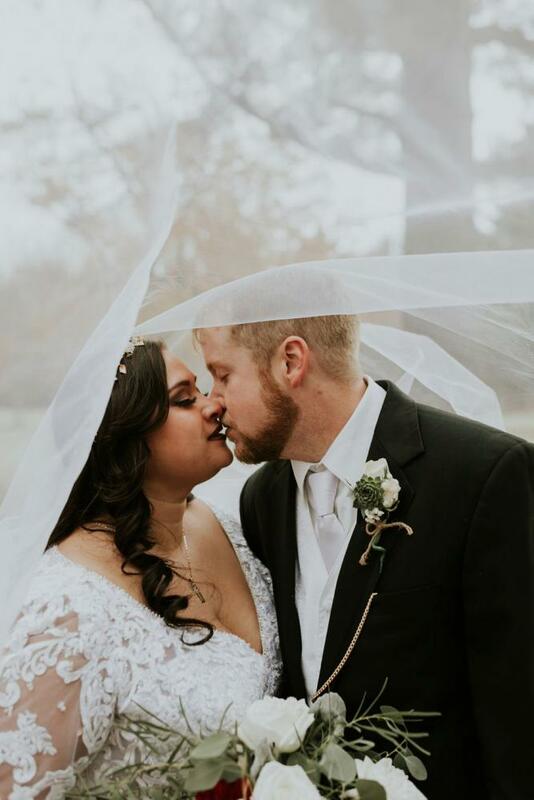 Adriana and Matt planned an intimate wedding in the woods surrounded by their close family and friends. 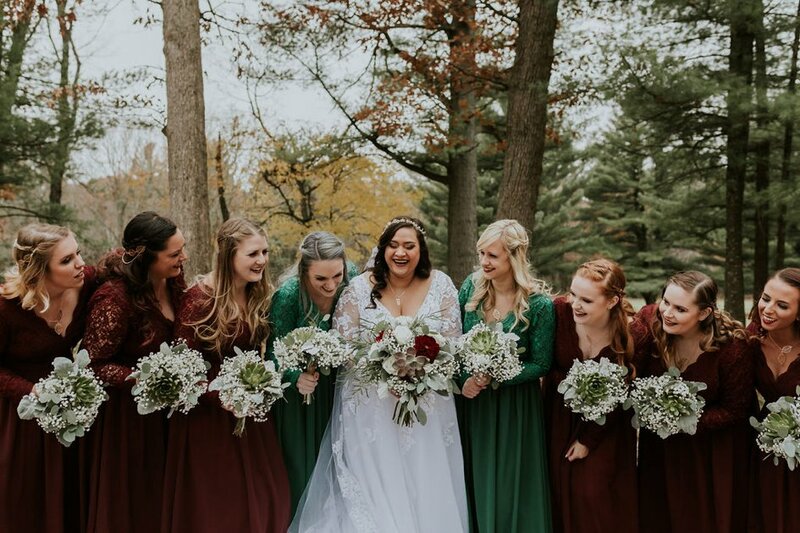 Jade green and warm crimson tones stood out against the landscape of muted hues. 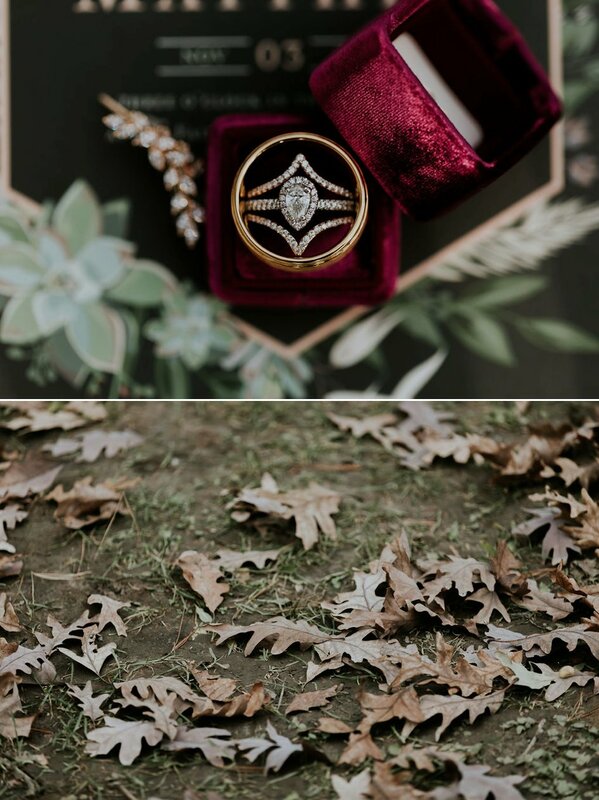 The couple wed outdoors with crisp leaves under their feet, next to an arch made of raw logs. 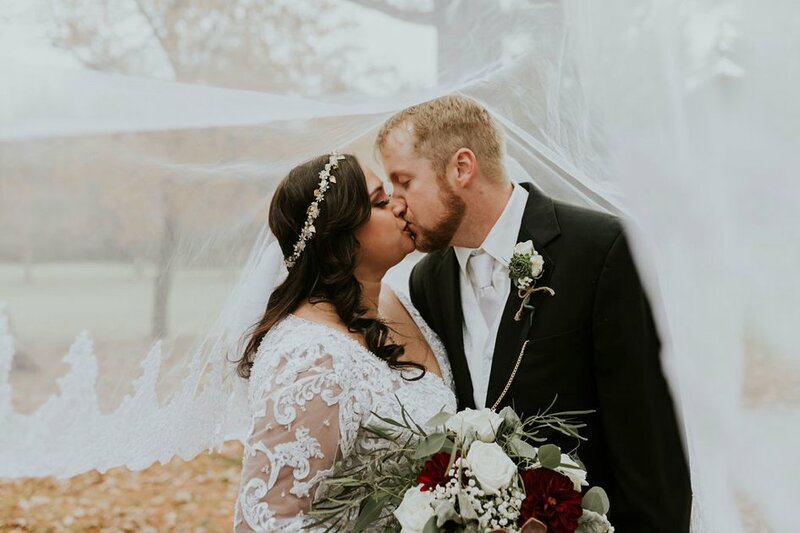 The bride wore a lace-adorned gown and long veil with a jeweled flower crown that gave off bohemian vibes. 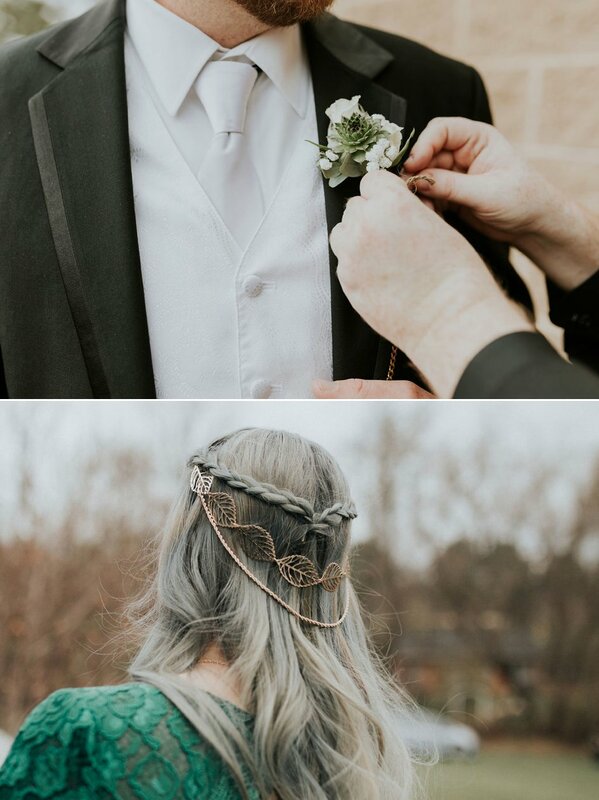 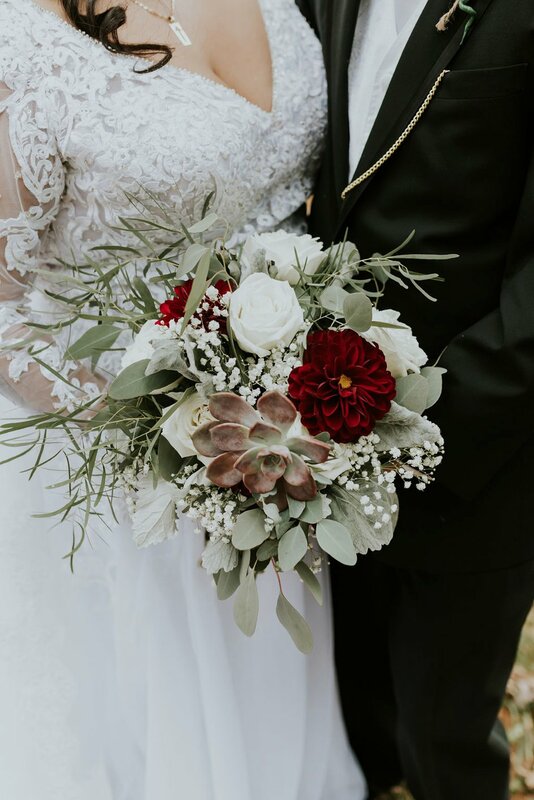 Baby's breath and eucalyptus filled the bouquets while the bride's bouquet also had red flowers and a succulent (that matched the groom's boutonniere). 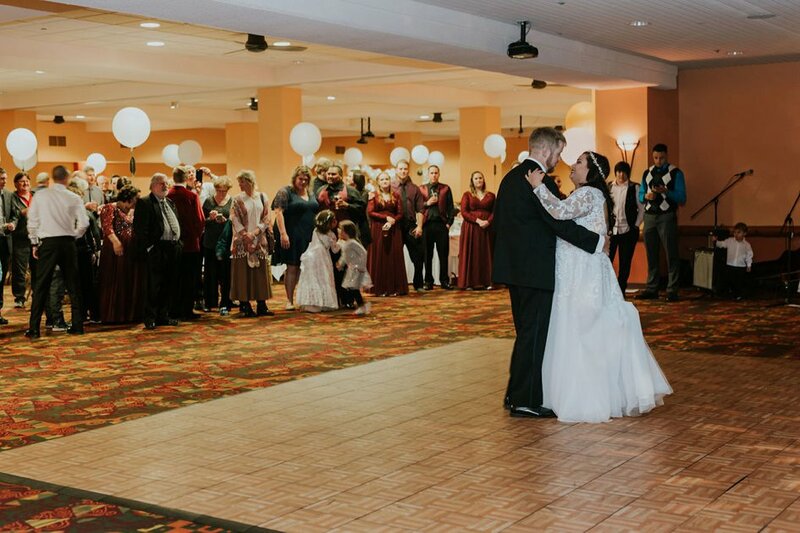 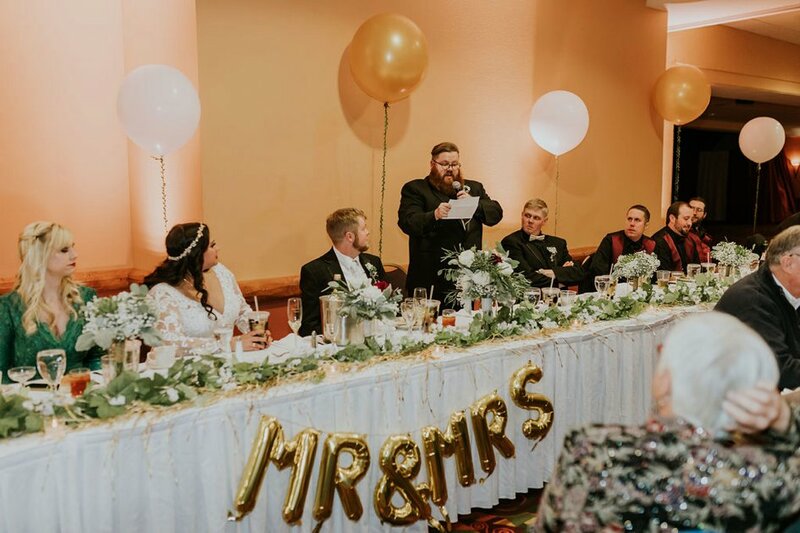 Guests warmed up after the ceremony by eating and dancing together to celebrate the newlyweds. 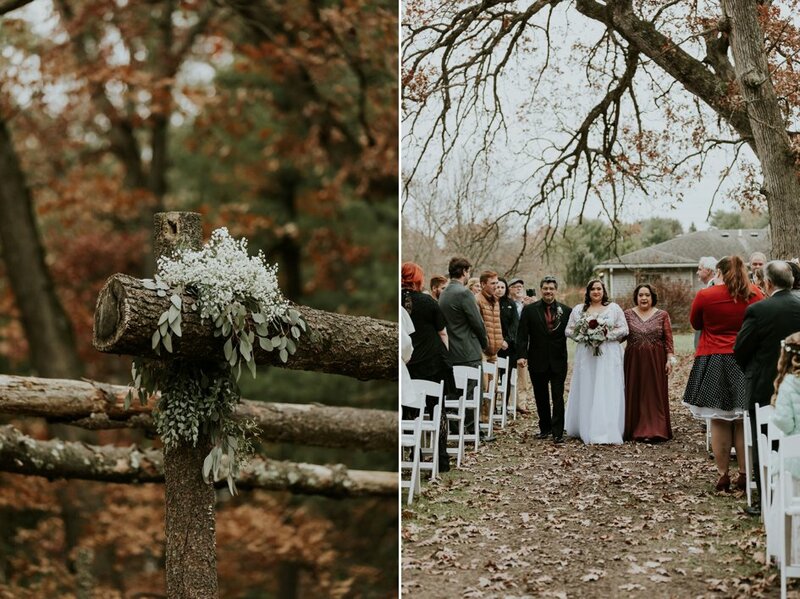 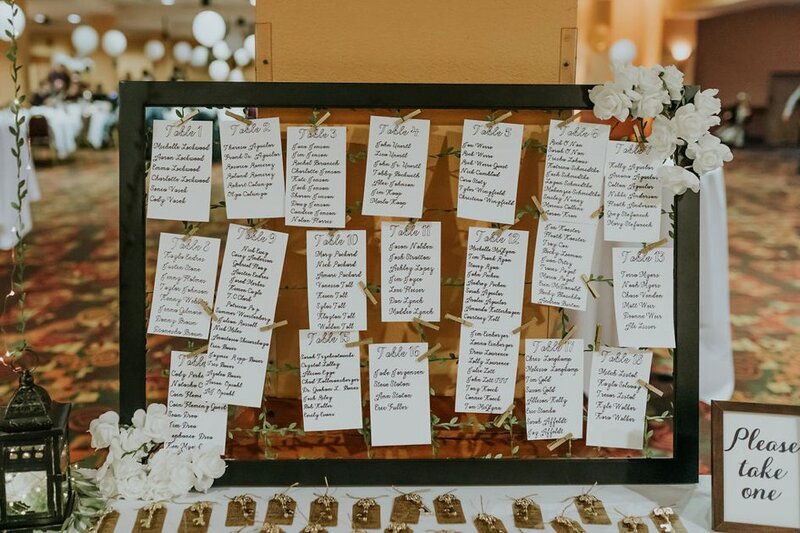 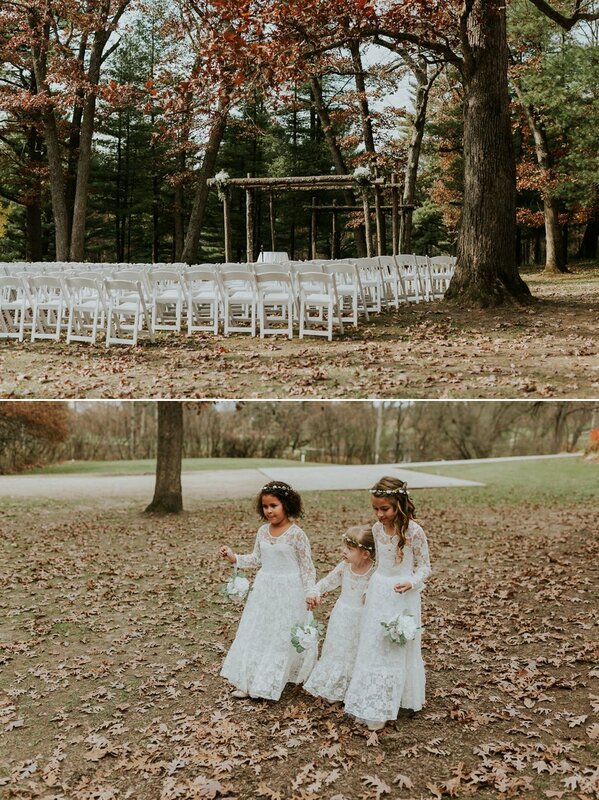 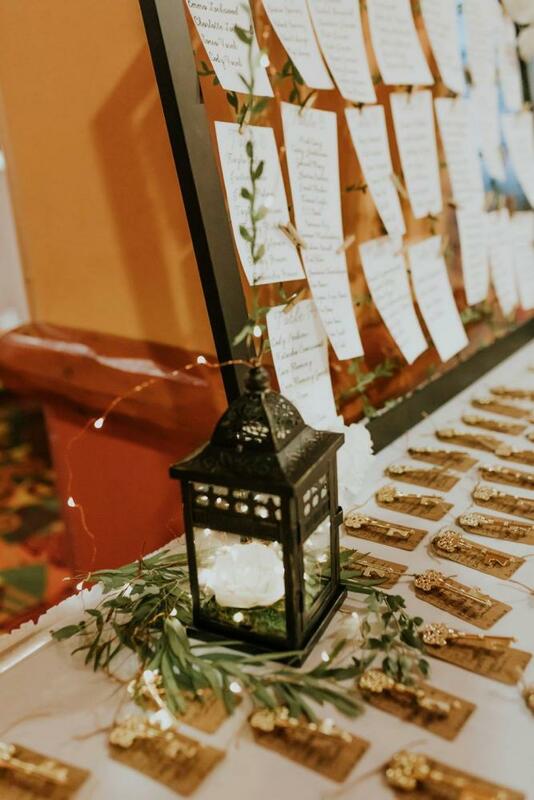 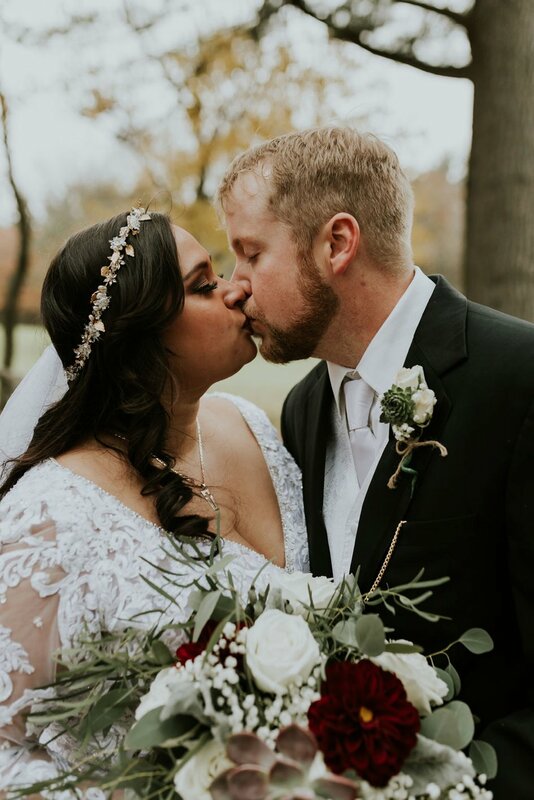 Cozy and relaxed, this wedding is everything we love about those chilly autumn days.